In the competitive world of online casinos, it is vital for a site to have a sparkling record when it comes to trustworthiness and customer satisfaction, and unfortunately, Slot Planet does not. Slot Planet Casino was one of the main brands involved in a tax evasion lawsuit in the Netherlands back in 2013. The Sherriff Gaming Group who were responsible for the casino at the time were caught carrying out some deeply unethical practices including fraud and game fixing, and, as a result, Slot Planet was shut down by authorities for a brief time, causing many players to lose not only their accounts, but also the money within them. History is history however, and although it’s important to be aware of what came before, Slot Planet is now under the control of the Imperium Network Solutions Ltd group, who have an excellent reputation in the industry and are responsible for popular and trusted brands including Jackpot Luck Casino and Twenty One Casino. So, with that being said, how does Slot Planet stand up now that it’s dodgy past is behind it, and it has been rebranding by a trustworthy name? Because trust is great, but an online casino also has to have quality and content in order to succeed in this busy industry. First impressions are rarely as important as they are in the world of online casinos, and Slot Planet does not make a great one. It isn’t that this site is unattractive per se, because it isn’t, it’s just a little dull, and with players looking for increasing levels of excitement due to the amount of choice there is available, Slot Planet does not feel like a site that is going to blow the minds of those who visit it. A simple black and white colour scheme, with small touches of other colours but not enough to make a particularly great impact, and an embarrassingly childish background design make this site unimpressive to say the least. This could be a real problem for this site, because players are spoilt by the options available in the iGaming world, and a site that looks this, quite frankly, boring, is unlikely to catch the eye of many players, which could lead many potential customers to not even bother taking the time to find out what this site has to offer. However, for the more patient players who care more about content than image, of which there are a decent number, what does Slot Planet have to offer? The answer to that question is quite a lot, which is a relief. Titles here come via a decent mix of software developers that includes 1X2 Network, Aristocrat Gaming, Blueprint Gaming, edict egaming, ELK Studios, Evolution, Ezugi, Leander Games, Microgaming, NetEnt, NYX Gaming, Quickspin, Stars Group, Thunderkick, and White Hat Gaming, which, despite missing a couple of high-profile names, is definitely a strong enough list to be competitive. Whether you are looking for video slots, jackpot slots, classic slots, or table and card games, you will find them in abundance here, from old favourites to new releases. 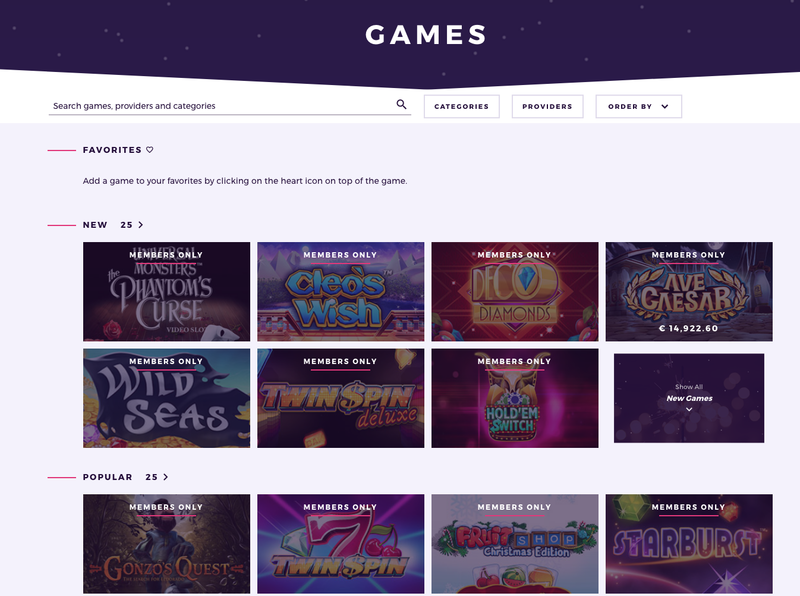 This is a traditional list of game categories, but Slot Planet does not stop there, this is a site that clearly intends to offer something for everybody, and you will, therefore, also find a collection of bingo titles, a handful of scratchcards, and a few virtual sports games, to ensure that there truly is something for everybody here. Slot Planet is a weird one, because, from a design perspective, it looks like no effort has been put in, but it actually offers a huge amount in terms of games.